A road trip is the best way to experience magnificent sceneries and have an exciting adventure. When We plan one, we think of the destinations, the places where to sleep, how to organise the food, etc. We never think of the effect that an experience like this can have on our personality. 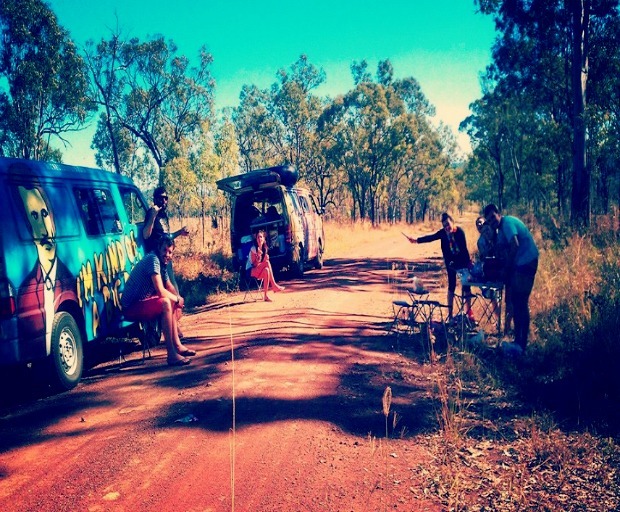 I have spent 5 weeks on the road in Australia and I had no idea of what could happen to me. Here is a list of the most important things that you will experience during a road trip. Usually we decide to start a road trip with other people. They could be our friends or people that want to travel like us. No matter how close you are before hitting the road, You will gain a deep connection with some of them and eventually become friends for the rest of your lives. You will spend every single minute together, sharing a van or a car that will be your house. You will find yourself getting close to people that you would never fancy if you met them in the pub. When you are on the road the chances to charge mobiles, iPads, laptops and iPods are very low. You will have a lot of time to think about your life and things that matters to you. Driving for hours, sometimes for a whole day, will allow you to explore your personality, understand what you want and sometimes realise you can actually have more from life. You won’t be able to upload pictures or videos on the internet all the time so when you see outstanding places you will be fully inspired by the beauty of the world and get lost in the moment without thinking about social networks. The first few days you will pay attention on the way you look. You will put makeup on like you used to do in normal life and try to be neat and decent every day. After a week, you will be a different person, no more makeup, putting on random clothes, not caring at all about appearance. You will live a very simple life: waking up every morning with the only aim of traveling and sharing unique moments with your mates, eating cheap and simple food and having time to see the sunset every day because you’re far away from your usual frenetic life. You will stay with the same people 24/7. It will be hard at the beginning, especially if you don’t know each other but, within a week or two, you will literally become a small community. It is people’s nature to be social and help each other. Everybody will have a role in the group and feel useful. Once the road trip will be finished, you will feel lost. You will have to learn how to do things by yourself again. It will be weird to do even the simplest things without your travel mates. When you travel on the road it feels like living a parallel life, all the things you thought were important look now unnecessary. Normal life is boring, routine is boring, shallow conversations with your colleagues are boring. Life is way better when you are on the road, waking up every morning to see the sunrise and not knowing what will happen. Your way to see the world is different and it will take you some time to get used to the modern and frenetic society again. What should you expect from a road trip? A wonderful journey where you can explore beautiful places but yourself, too. It won’t be just a trip but a life experience that you will never forget because it changed you and opened your eyes so much.